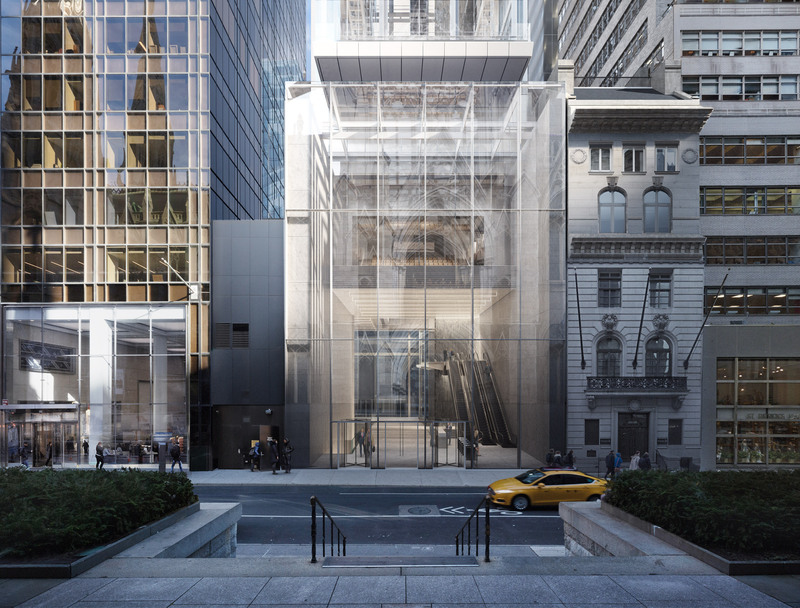 Global architecture firm Gensler has proposed a 96-storey office tower in Midtown Manhattan, which will become the city’s second tallest skyscraper if it gets approval. Named Tower Fifth, the skyscraper is intended to be built on a plot along Fifth Avenue, between 51st and 52nd streets. 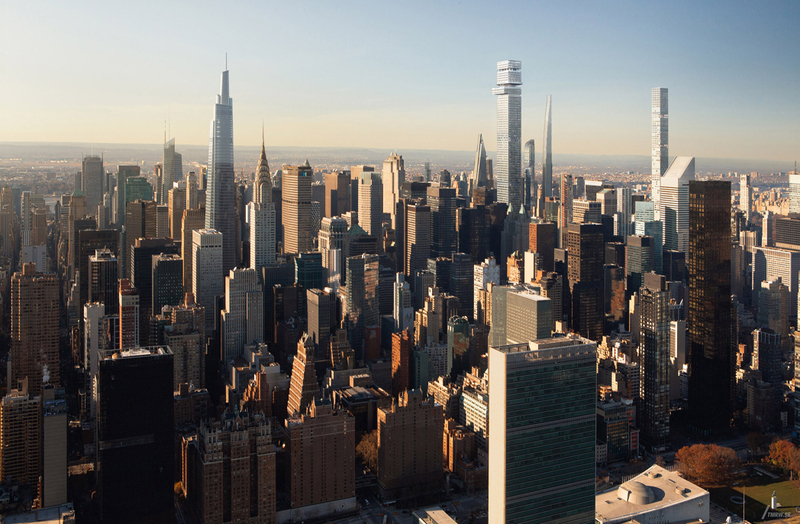 Climbing 1,556 feet (519 metres) above Manhattan, it would become the city’s, and theWestern Hemisphere’s, second tallest skyscraper. 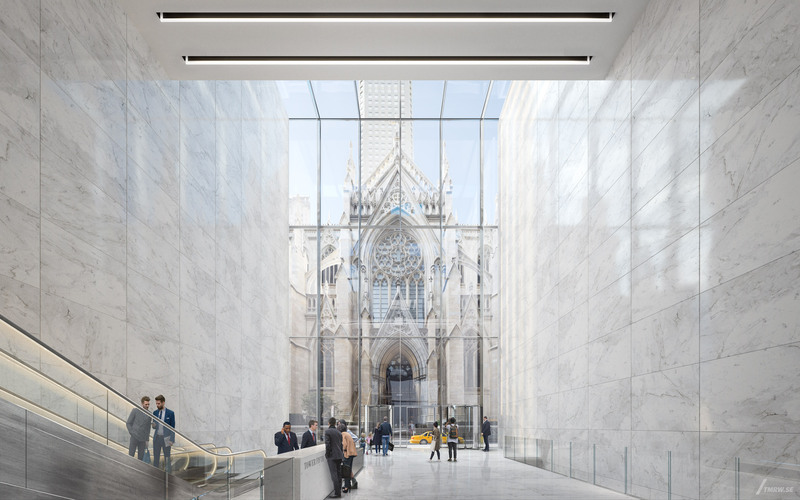 One the ground floor, a glass-enclosed public galleria will span the entire block to frame views of St. Patrick’s Cathedral, leading visitors to shops, a food hall, and an auditorium. 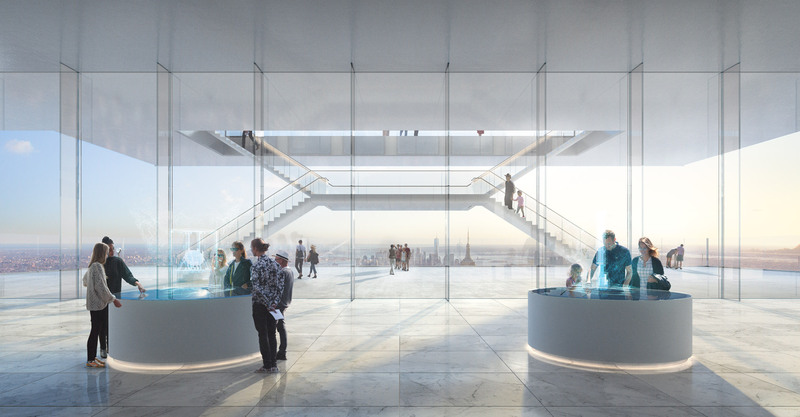 At the top of the tower, an array of experiential, cultural, and entertainment experiences are planned within a public observatory. The office floors feature 960,000 square feet of tenant space and amenities focused on wellness. Tower Fifth is wrapped in an innovative, energy-efficient Closed Cavity Facade system which reduces solar heat gain by more than 70 percent. It will be the first deployment of this type of system in North America.